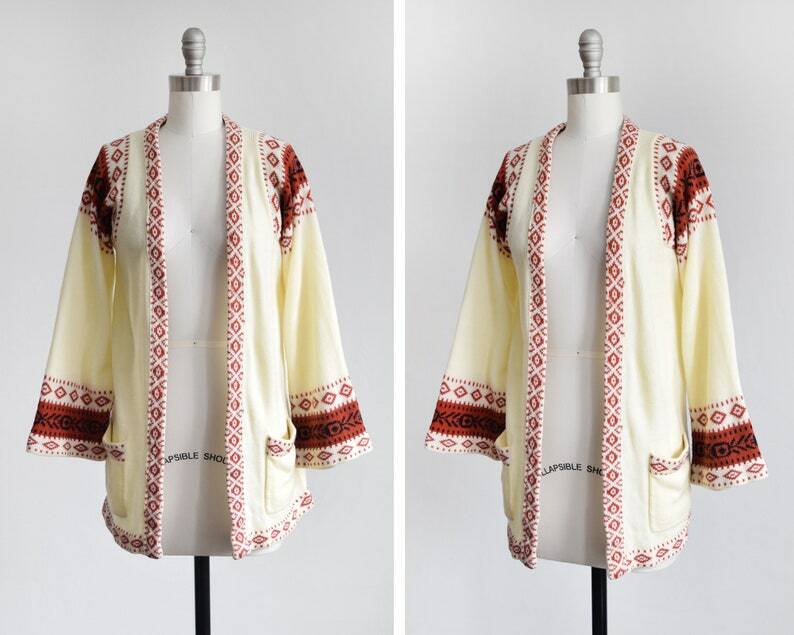 Cute vintage 70s southwestern cardigan. Creamy knit with rust red and black southwestern style motif on the shoulders, sleeves, down the front, and on the pockets. Bell sleeves. Belt loops on each side for the belt of your choice. The material is soft and has some stretch. The cardigan is open and there's no closures. There's a mend on the left sleeve, towards the underarm, please see photos. Price reflects this flaw. Condition: Very good vintage condition (see description for any flaws). This garment has been cleaned and is ready to wear.